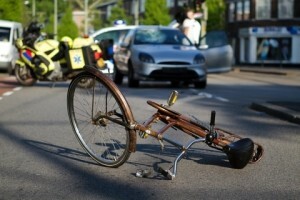 Bicycle accident injuries are on the rise again. Involvement in an accident is never a happy prospect, and if you are at the receiving end of it, then there is a very good chance that you have hurt yourself, and are in need of treatment at a hospital or doctor. So, what are the steps that you should take if you are involved in such an accident? If you have only vague ideas about this, then it’s time to polish them, and understand some steps that you have to follow if you want to hire a bicycle accident attorney. Experienced attorneys, although hard to come by, will have expertise in handling special cases. When buying running shoes, you wont be buying heels and when buying dress shoes, they probably wont be Nike’s. Injury Specialist attorneys have undertaken many car accident cases and have won most of them, which makes them specialists at handling car accident cases. Similarly, in your bike accident case, you should find an attorney who is very capable and experienced at handling bicycle accident cases. You would be able to find out about the references and qualifications of each and every bicycle accident attorney in the area, with the help of a local or state bar association. Whatever be the case, make sure that you hire an attorney who has successfully handled bicycle accident cases in the past. The fee that you are required to pay to your attorney (never up front) will be included in the damages that you negotiated with the defendant. If the court finds the defendant responsible for the bicycle accident, it is more than likely that the court will order the defendant to pay up a certain amount of money, as damages. It will include the money that you had to spend for medical bills, compensation for any physical injuries and also compensation for emotional distress and your pain, suffering and inconvenience. The bicycle accident attorney that you hired will take a percentage of the damages that you received as a part of his or her fee. It is important to ensure that, while selecting a bicycle accident attorney, you find out whether he or she is comfortable to work with, as you are going to spend a lot of time with the attorney that you hire. This entry was posted in Car accident lawyer, freeway accident attorney and tagged Emotional distress, freeway accident attorney by Ari Friedman. Bookmark the permalink.